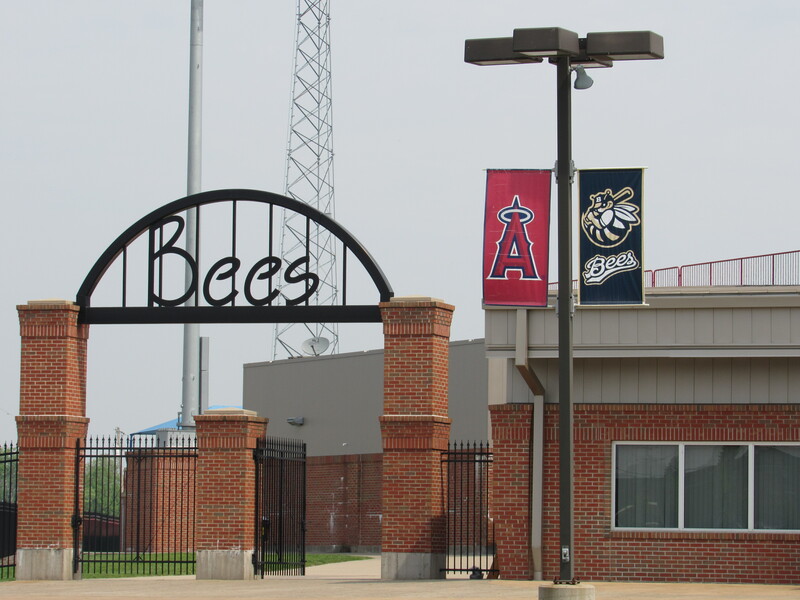 Five players ranked by Baseball America among the top 30 Los Angeles Angels prospects are on the Burlington Bees’ Opening Day roster, including outfielders Jo Adell and Brandon Marsh. If the Angels hadn’t signed Japanese pitcher/designated hitter Shohei Ohtani during the offseason, Adell would be considered the team’s top prospect. (Despite his successful career in Japan, Ohtani is still considered a prospect because he just made his MLB debut Sunday.) The Angels have high expectations for Adell, whom they drafted with the No. 10 overall pick last year, believing him to have “the best combination of power, speed and arm strength in the 2017 draft” (per Baseball America). He was impressive at the plate in his debut season, batting .325 with five homers, eight triples, 11 doubles, 30 runs batted in, and eight stolen bases in 49 games at rookie-level last year. Switch-hitting infielder Leonardo Rivas (No. 11 Angels prospect) is one of four players returning to Burlington after spending part or all of the 2017 season with the team. He batted .267 with five doubles, seven RBI and eight stolen bases in 26 games with the Bees. He also played with the Owlz last season, batting .299 with two homers, four triples, six doubles, 29 runs batted in, and 11 stolen bases in 35 games. He drew 59 walks and struck out 44 times in the 61 games he played in last year. A familiar name on the roster — if only because of his father’s long career in the major leagues — outfielder Torii Hunter Jr. is ranked 30th among Angels prospects. A former standout football player at Notre Dame, Hunter batted .352 with one homer, three triples, 10 doubles, 28 RBI and 13 stolen bases in 52 games with the Owlz last year. Former Angels third baseman/outfielder Jack Howell will manage the Burlington Bees this coming season. You can read about him and his coaching staff here. This entry was posted in Burlington Bees, Midwest League, Orem Owlz, Pioneer League. Bookmark the permalink.